where the rover landed, is similar to volcanic soils in Hawaii. NASA's Mars rover Curiosity has completed initial experiments showing the mineralogy of Martian soil is similar to weathered basaltic soils of volcanic origin in Hawaii. The minerals were identified in the first sample of Martian soil ingested recently by the rover. Curiosity used its Chemistry and Mineralogy instrument (CheMin) to obtain the results, which are filling gaps and adding confidence to earlier estimates of the mineralogical makeup of the dust and fine soil widespread on the Red Planet. "We had many previous inferences and discussions about the mineralogy of Martian soil," said David Blake of NASA Ames Research Center in Moffett Field, Calif., who is the principal investigator for CheMin. 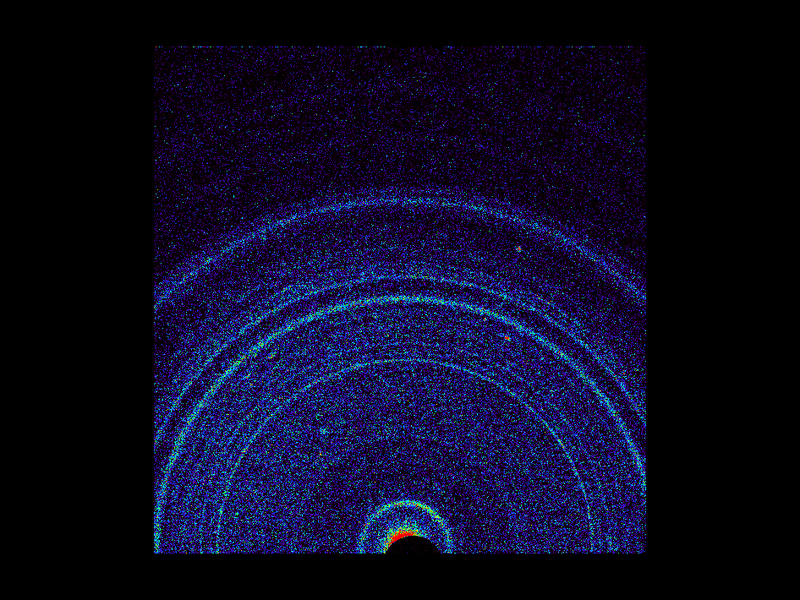 "Our quantitative results provide refined and in some cases new identifications of the minerals in this first X-ray diffraction analysis on Mars." The identification of minerals in rocks and soil is crucial for the mission's goal to assess past environmental conditions. Each mineral records the conditions under which it formed. The chemical composition of a rock provides only ambiguous mineralogical information, as in the textbook example of the minerals diamond and graphite, which have the same chemical composition, but strikingly different structures and properties. CheMin uses X-ray diffraction, the standard practice for geologists on Earth using much larger laboratory instruments. This method provides more accurate identifications of minerals than any method previously used on Mars. 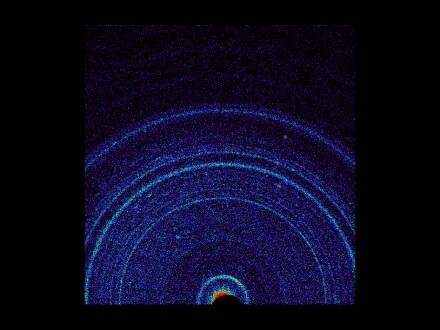 X-ray diffraction reads minerals' internal structure by recording how their crystals distinctively interact with X-rays. Innovations from Ames led to an X-ray diffraction instrument compact enough to fit inside the rover. These NASA technological advances have resulted in other applications on Earth, including compact and portable X-ray diffraction equipment for oil and gas exploration, analysis of archaeological objects and screening of counterfeit pharmaceuticals, among other uses. "Our team is elated with these first results from our instrument," said Blake. "They heighten our anticipation for future CheMin analyses in the months and miles ahead for Curiosity." The specific sample for CheMin's first analysis was soil Curiosity scooped up at a patch of dust and sand that the team named Rocknest. The sample was processed through a sieve to exclude particles larger than 0.006 inch (150 micrometers), roughly the width of a human hair. The sample has at least two components: dust distributed globally in dust storms and fine sand originating more locally. Unlike conglomerate rocks Curiosity investigated a few weeks ago, which are several billion years old and indicative of flowing water, the soil material CheMin has analyzed is more representative of modern processes on Mars. co-investigator with Indiana University in Bloomington. "We now know it is mineralogically similar to basaltic material, with significant amounts of feldspar, pyroxene and olivine, which was not unexpected. Roughly half the soil is non-crystalline material, such as volcanic glass or products from weathering of the glass." recording a transition through time from a wet to dry environment. The ancient rocks, such as the conglomerates, suggest flowing water, while the minerals in the younger soil are consistent with limited interaction with water."